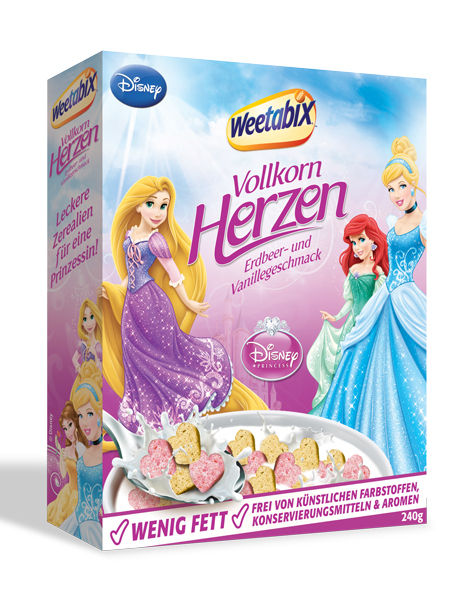 The Disney Princess fruit snacks used various colors and had individually-shaped pieces for Ariel, Jasmine and other princesses, but it appears here that the only distinction is on the outside of the box. The cereal and marshmallow pieces inside are probably identical. Batman and Superman had different flavors of cereal, but I guess princesses don’t rate highly enough for that.